Getting a more natural looking and natural feeling frontal hairline restoration requires precision, as well as the right planning techniques before the surgery. 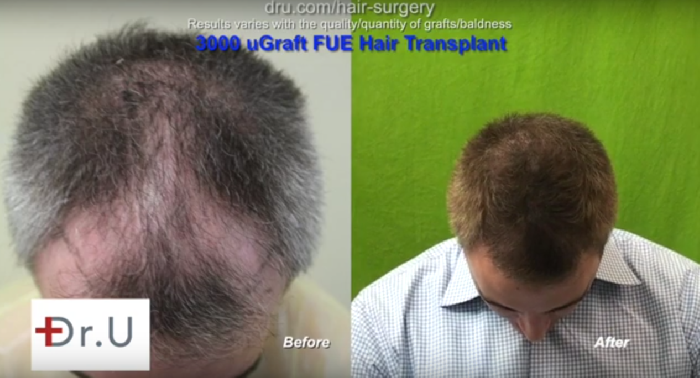 With the help of Dr. Sanusi Umar and his UGraft Advanced FUE techniques, a patient was able to see full coverage with no signs of transplantation. In the video above, Dr U’s patient displays his astonishing results after his first and only hair transplant surgery using head and nape hair transplantation. Prior to his surgery, the patient was living with severe patchy baldness and overall thinning all over the top of his scalp. 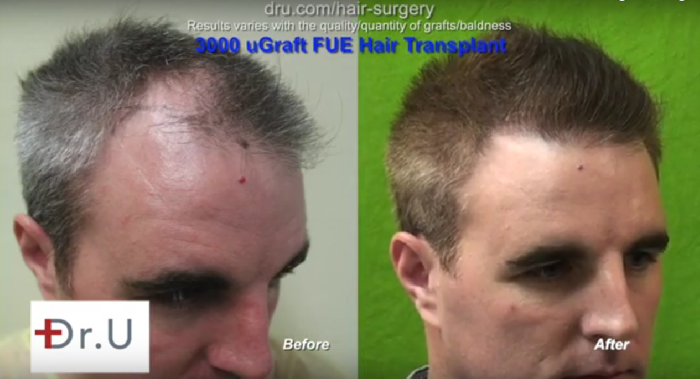 •	Dr U’s FUE Shave Test established that the nape hair was a safe and promising donor site for transplantation. The FUE Shave Test has been successful for many patients in locating the different viable areas on the head as the best options for hair transplant. Obtaining a natural frontal hairline restoration can be accomplished when using the fine, delicate nape hair. It allows for the creation of softer and full looking hairlines. 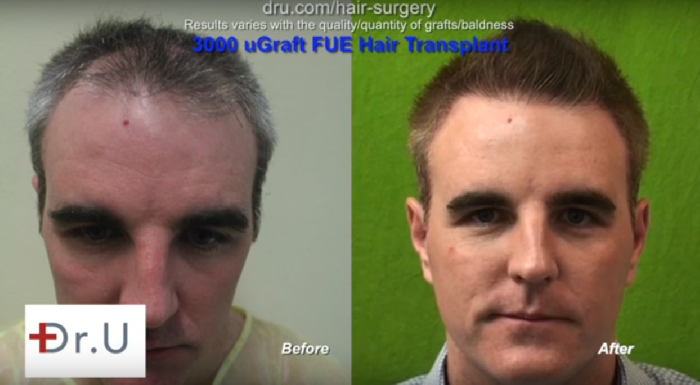 Dr U’s state-of-the-art, patented UGraft Advanced FUE method has widened the varying locations to the consistent and credible use for donor areas on the head and neck, as well as the body. For patients who do not pass the FUE Shave Test that allows the use of nape hair, Dr U achieves similar goals by using finer body hairs in recreating the vanguard hair of the hairline and temples. Finer body hairs also illustrate a soft, undetectable natural look as shown in this video from several years ago. After 12 months, this patient can attest to the natural looking results he experienced following his transplant surgery. The following photos illustrate the results this patient gained.